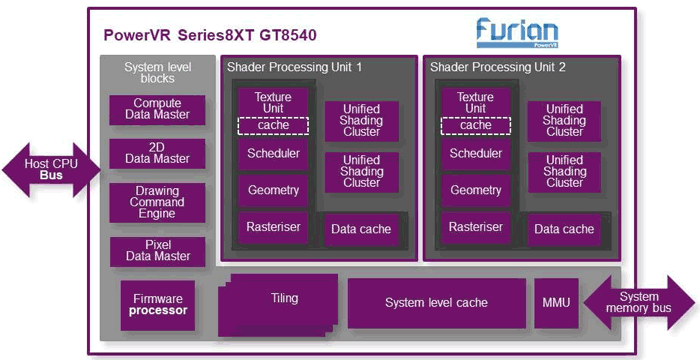 Imagination Technologies has launched the four-cluster PowerVR Series8XT GT8540 GPU, based upon its Furian architecture. Key performance claims for this new GPU are that it offers an 80 per cent fillrate density improvement over the previous generation, and that it can simultaneously drive up to six 4K screens with complex UIs at 60fps. Imagination says it will be targeting customers in automotive and premium mobile with the powerful new GPU. Already, from the intro, you may have grasped that a particular strength of the PowerVR Series8XT GT8540 GPU is its capability to simultaneously deliver content to an impressive array of displays. The platform can support up to eight applications or services running in separate containers at once, says Imagination, which is great for multi-display setups in cars for example. Furthermore, automotive OEMs can deploy and remove services at will, without affecting others running at the same time. 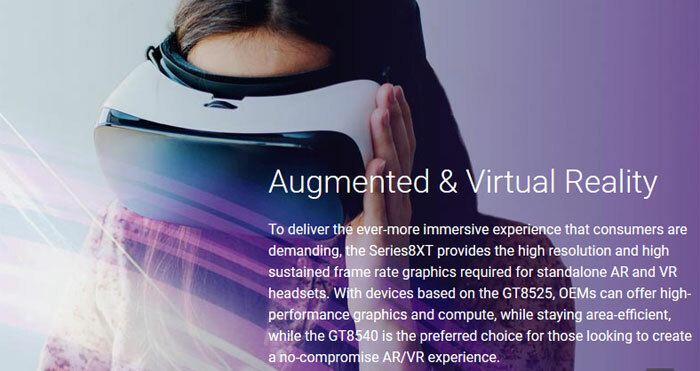 Outside of automotive, Imagination says the GT8540 would be the preferred choice for “a no-compromise AR/VR experience”, and will deliver a premium experience to flagship smartphones while still offering “industry-leading battery life”. Security concerns of automotive customers are addressed with full hardware virtualization to contain rogue apps. The PowerVR Series8XT GT8540 GPU can provide a rich GUI and infotainment system, powered by Android, for example, while critical displays will be unassailable by malware, says Imagination. Full hardware virtualization helps reduce costs and complexity while maintaining safety critical requirements. 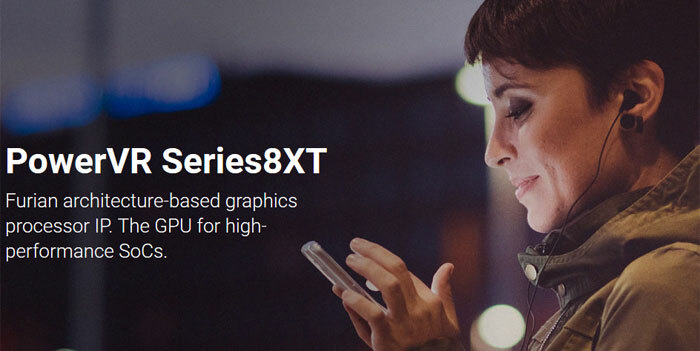 Imagination says that the PowerVR Series8XT GT8540 is now ready for licensing purposes. The two cluster PowerVR Series8XT GT8525 already has customers in segments including automotive and mobile.